Walking seemed to be the only way of keeping warm, which is just as well as there was a bit of walking to do today and we needed to keep warm a lot. We have a problem with this journal though. There can only be one highlight for a day, but that’s not how things appear to be turning out. We are being force-fed a feast of visual and emotional riches at a pace which seems to have picked up a notch, if not at ramming speed then perhaps just a little below. Strangely, despite the pace nothing seems to be rushed, perhaps because we have gained a certain level of match fitness over the past few weeks. While the weather alternated between a bit chilly to “quite cold actually” even toes turning blue within sock-clad feet couldn’t dampen our enthusiasm nor that of our guide as she graciously walked us through every corner and timber detail in the wonderfully preserved yet unrestored Kyu-Yasada house even allowing us the special privilege of a tour through the garden once we had returned our frigid toes into the relative warmth of our shoes. If it were just cherry blossoms we were here to see we would not be disappointed unless we wanted to be alone while we did it. Unselfishly we shared them among several million others as we soaked in the amazing atmosphere of Ueno Park. Despite the crush and the drizzle, watching the hanami (cherry blossom parties) under the trees as we wandered leavign us with involuntary silly grins on our faces. 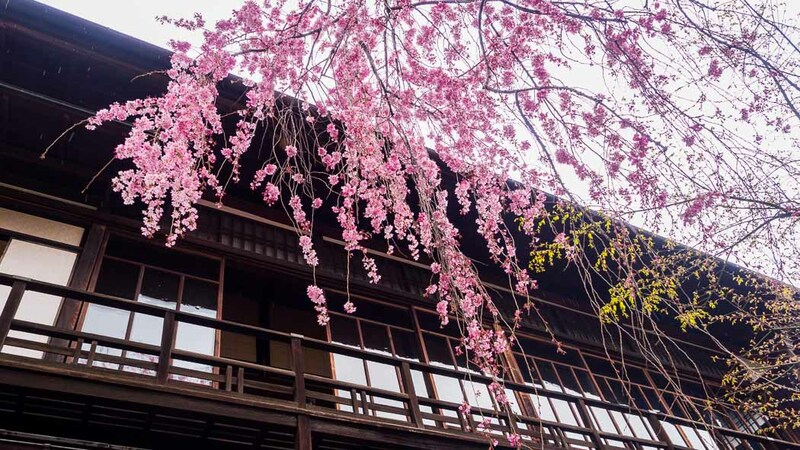 Of course there was more to remember; visits to Sendagi, Nezu Shrine, Kyu-Yasada House, Yanaka Ginza, Maranouchi and Ginza Districts for a start, but it’s cherry blossom happiness that will remain with us for a long time to come.. The land of cherry blossoms. Nice.